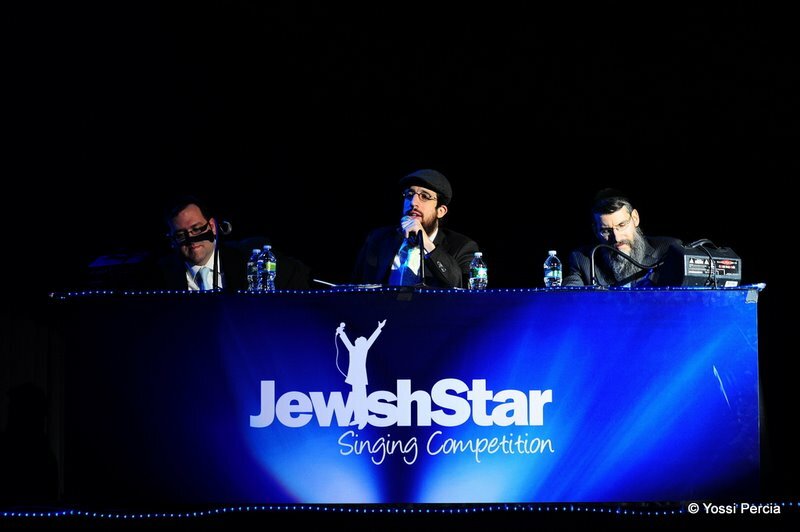 An electrifying show with an upbeat audience and some tough calls by the judges on Sunday night concluded Season Two of A Jewish Star international singing competition. 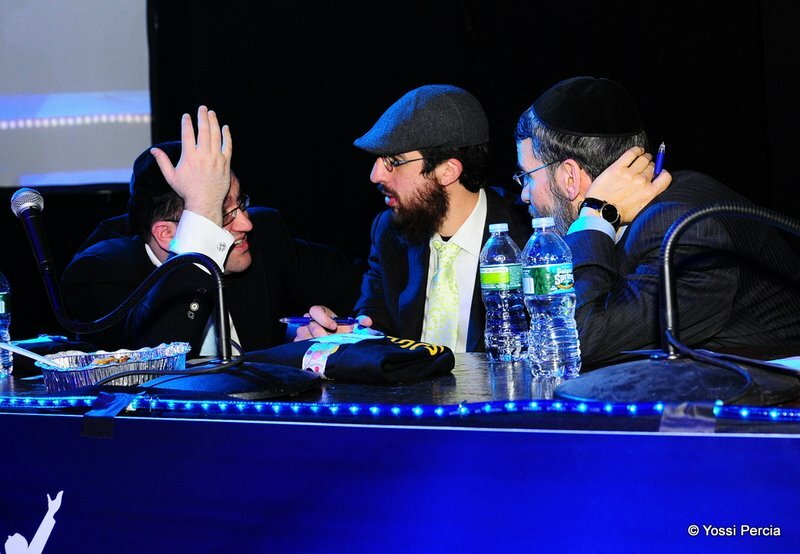 Impressive performances by 10 finalists and 3 junior finalists at Brooklyn School of Music led to continuous deliberations by the 3 judges before announcing the runner-ups and then winners. 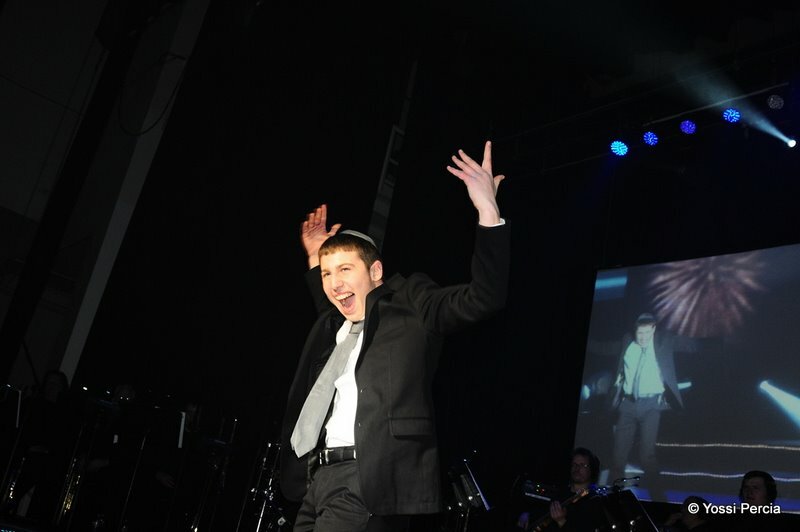 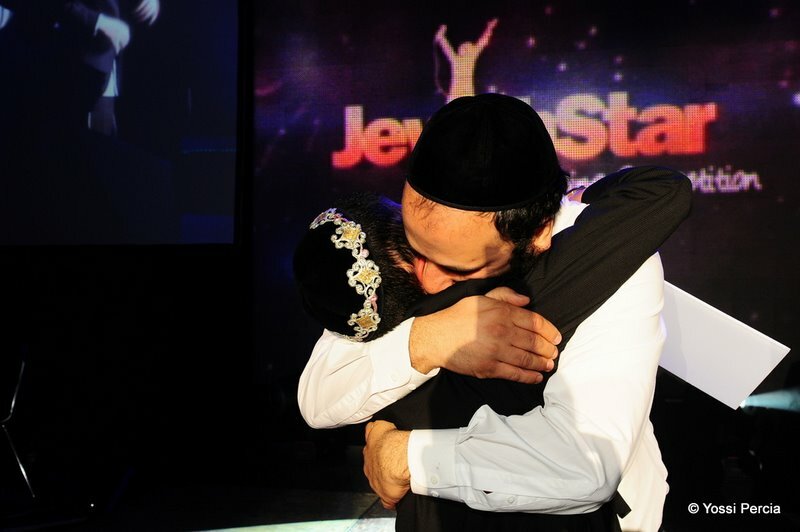 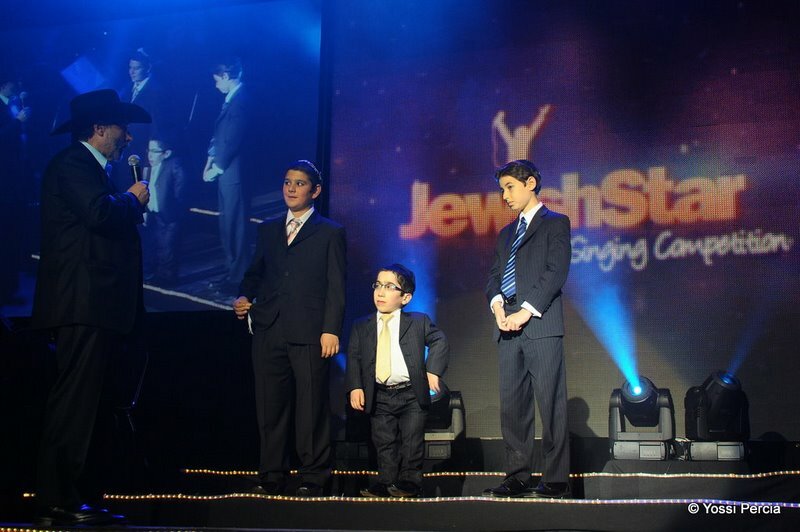 They got to be on stage after being chosen from 144 contestants by online music fans at AJewishStar.com in what became a closely watched talent show, the first of its kind in the Jewish world. 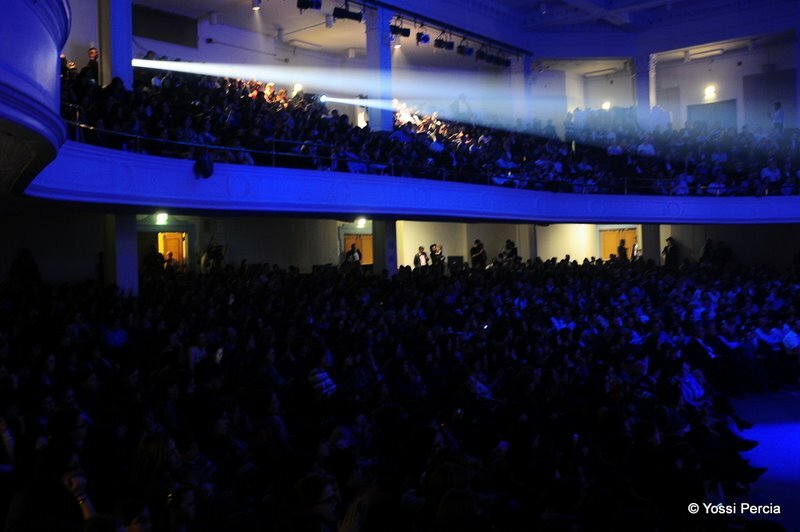 A sold-out crowd of people of all ages cheered as the talented newcomers to the music industry sang some of their audition songs (this year no musical instruments were allowed to be played). 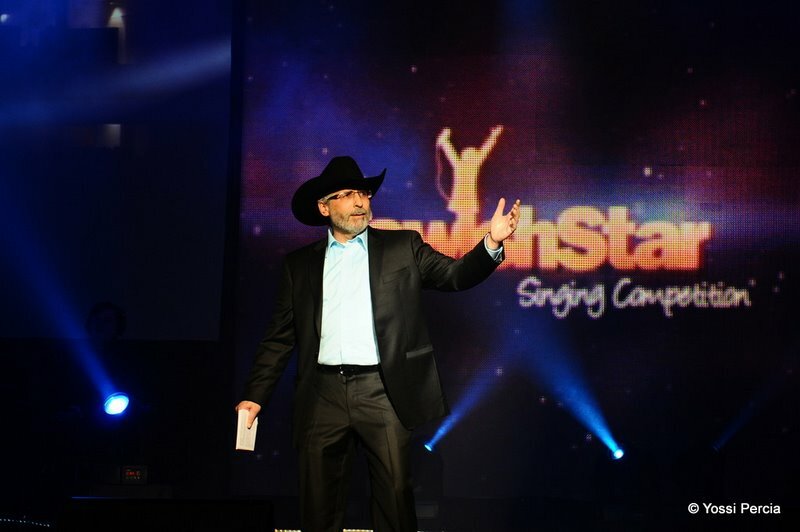 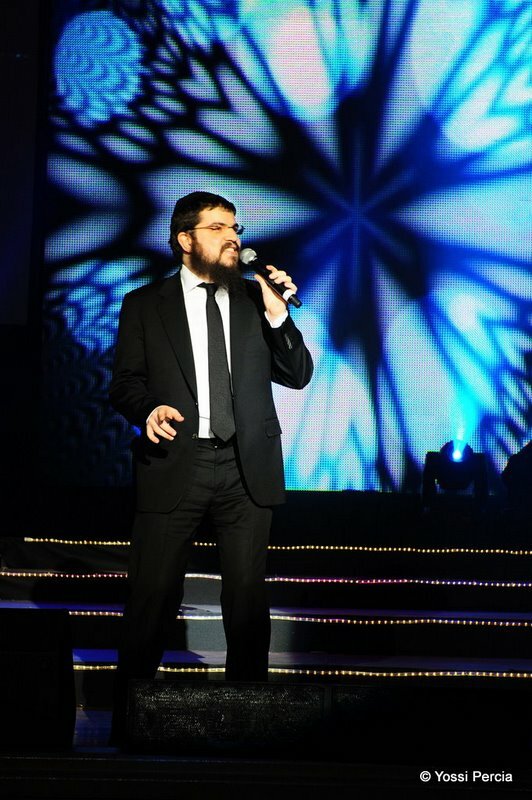 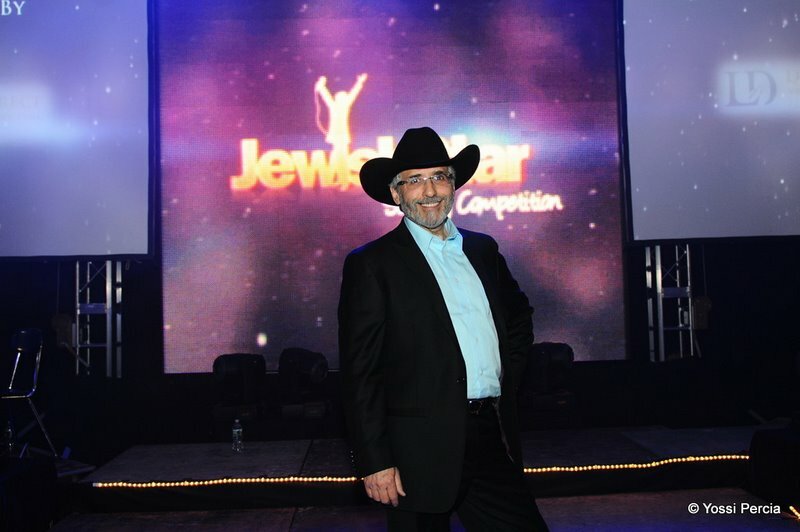 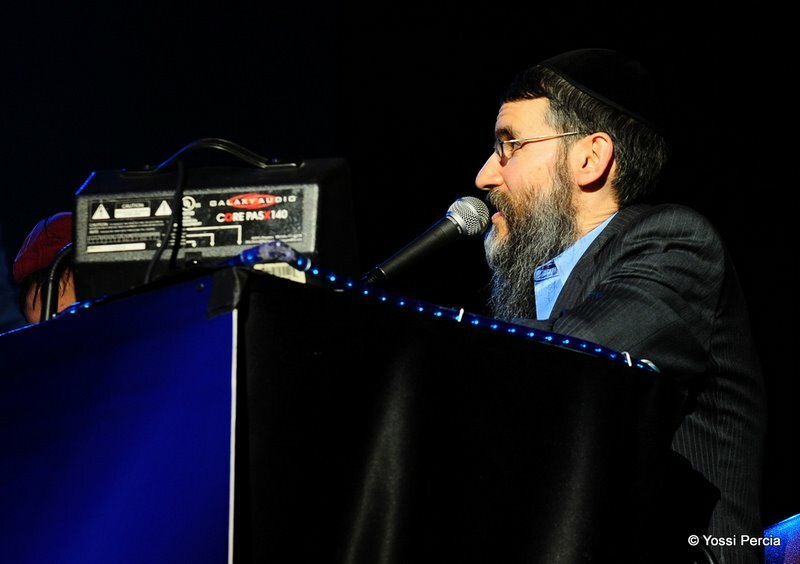 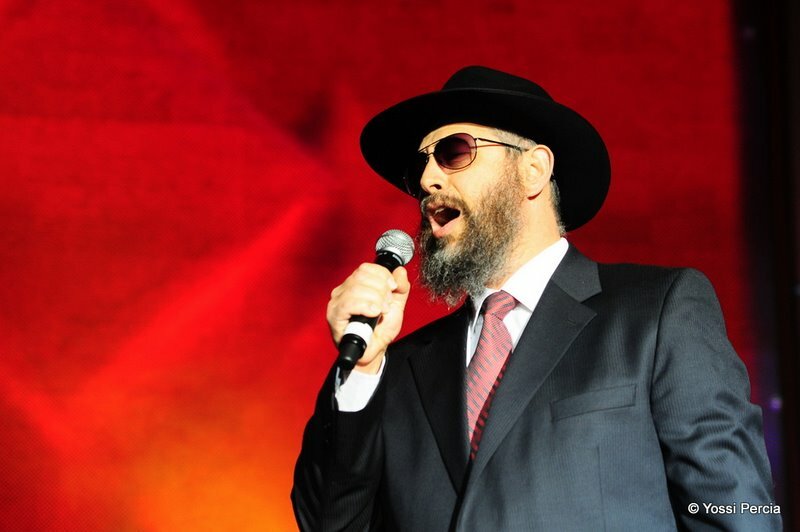 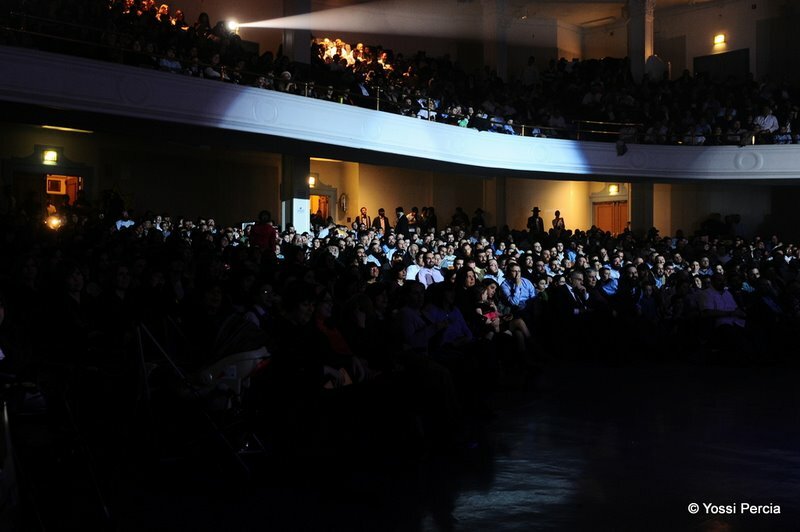 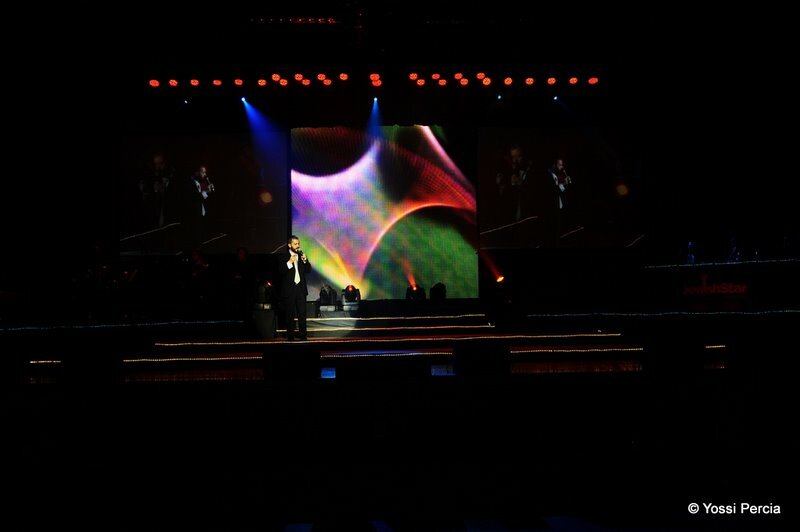 Popular entertainer and radio host Country Yossi, who emceed the show, called it the most anticipated Jewish music event in modern times. 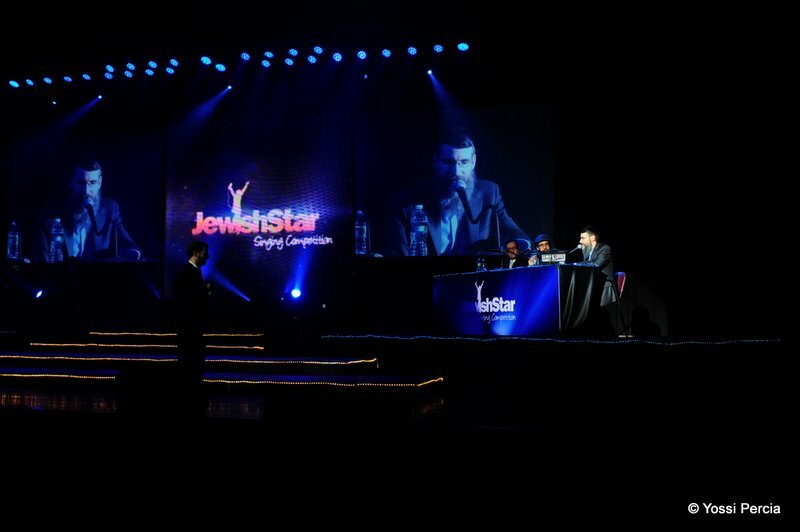 Over 262,000 votes were cast during the audition period and all eyes now were on the outcome. 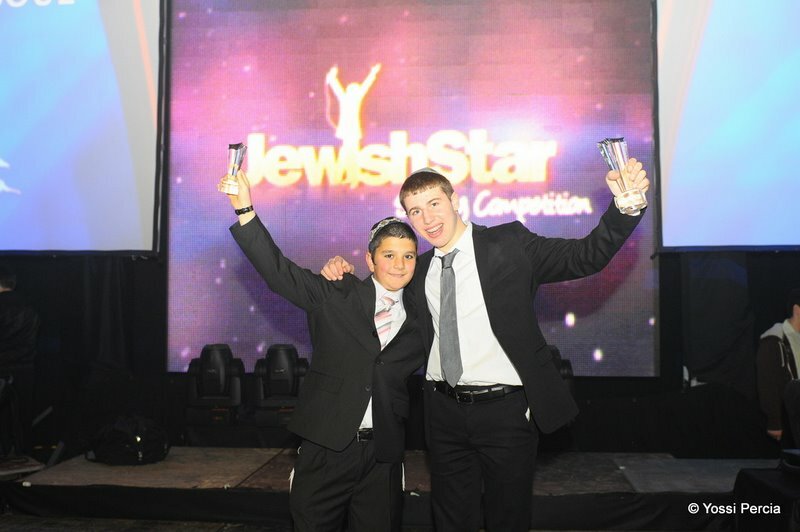 Finalists like Hillel Braun of Lakewood, NJ, Ezzy Duchman of Miami, FL, were praised for performing better than their audition videos. 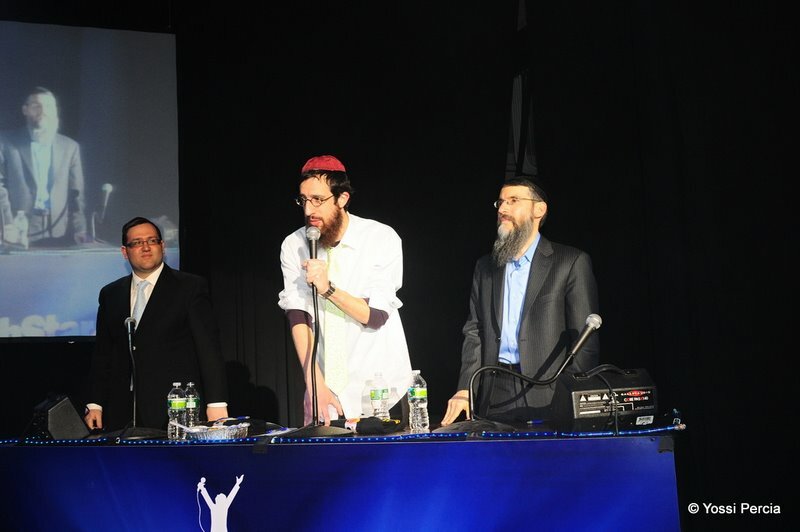 While others like Menachem Weinstein of London, UK, and Zalman Levy of Johannesburg, South Africa, had the crowd’s attention. 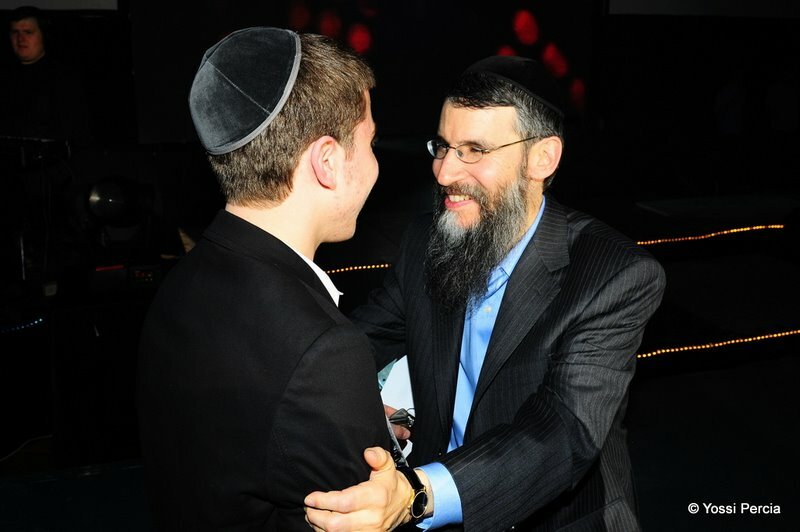 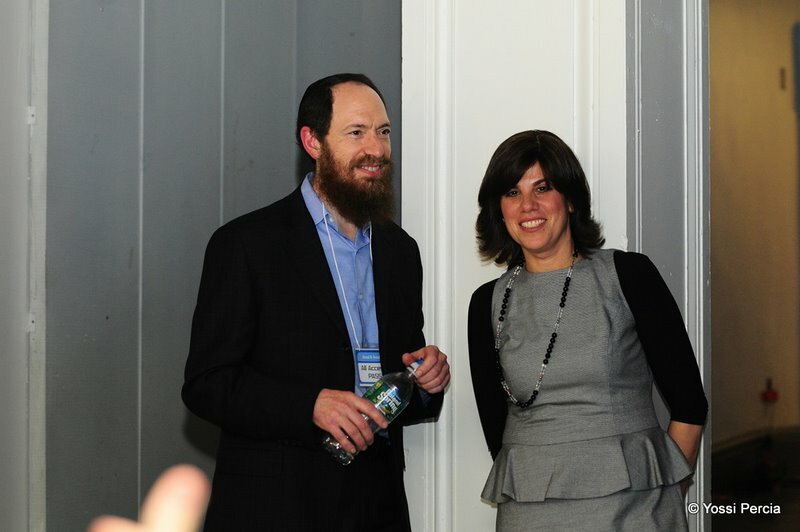 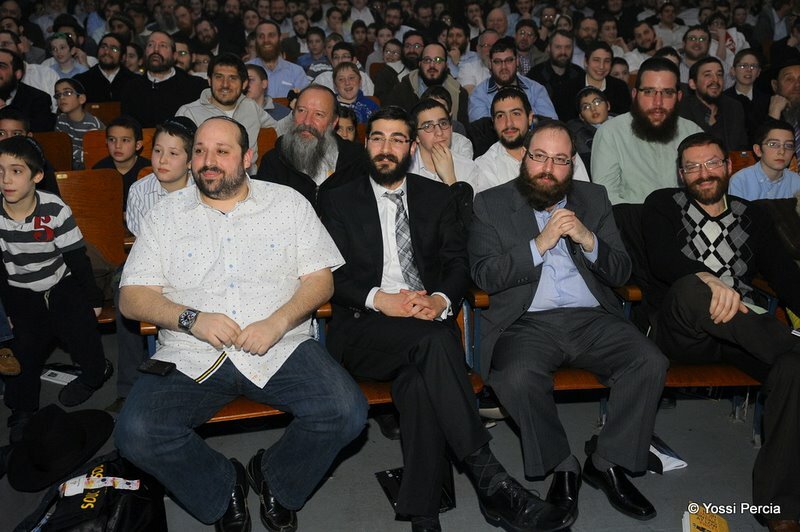 Some are Yeshiva students, while other are married with children and only now pursuing a lifetime dream. 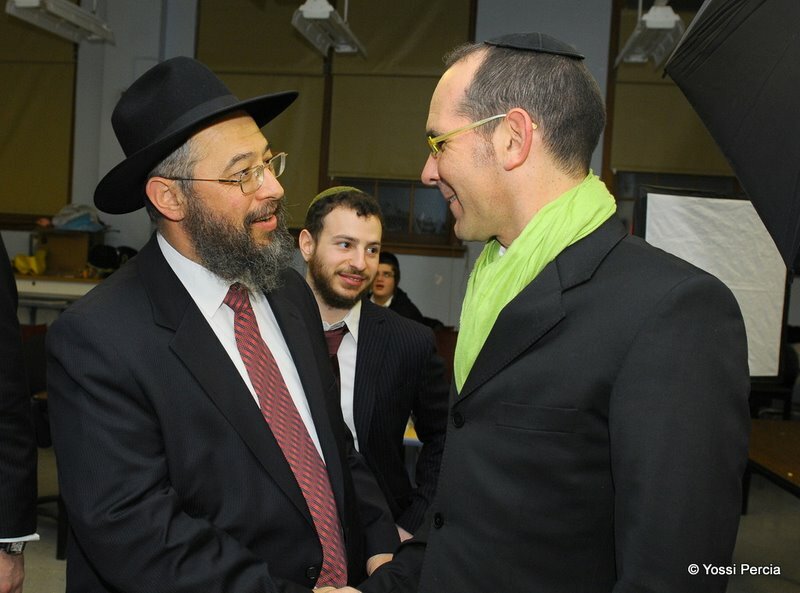 One of them is Rabbi Shlomo Menkes, 52, father of 9 from S. Monica, CA. 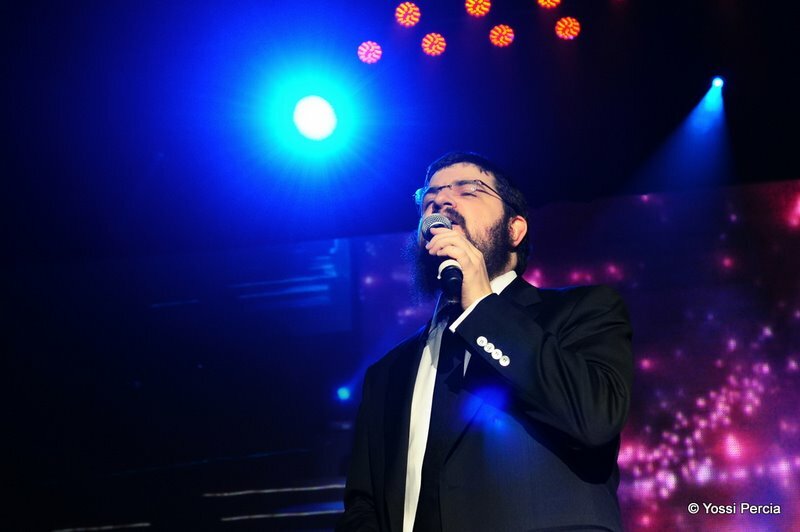 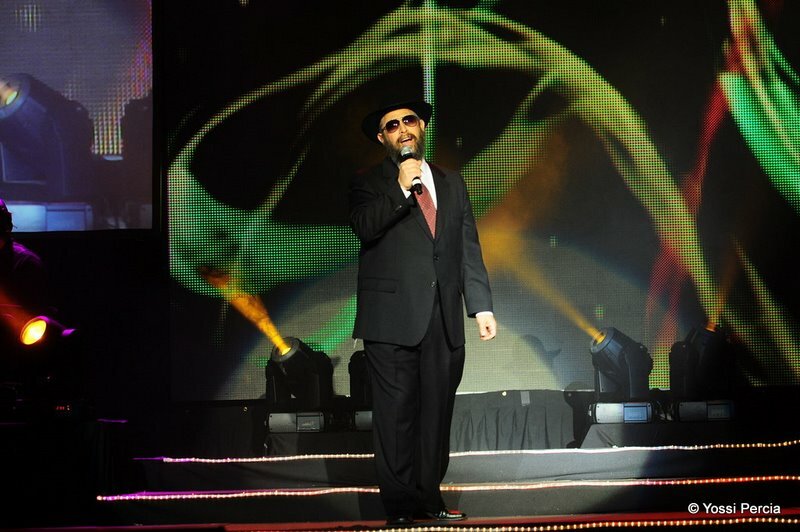 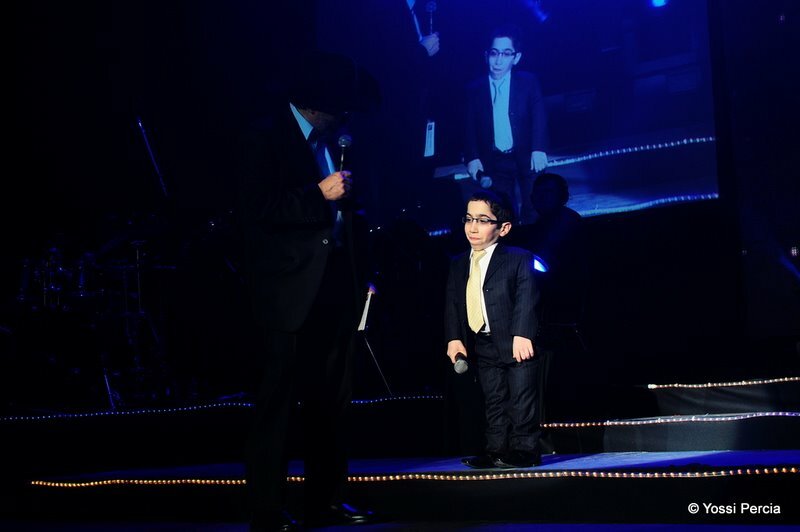 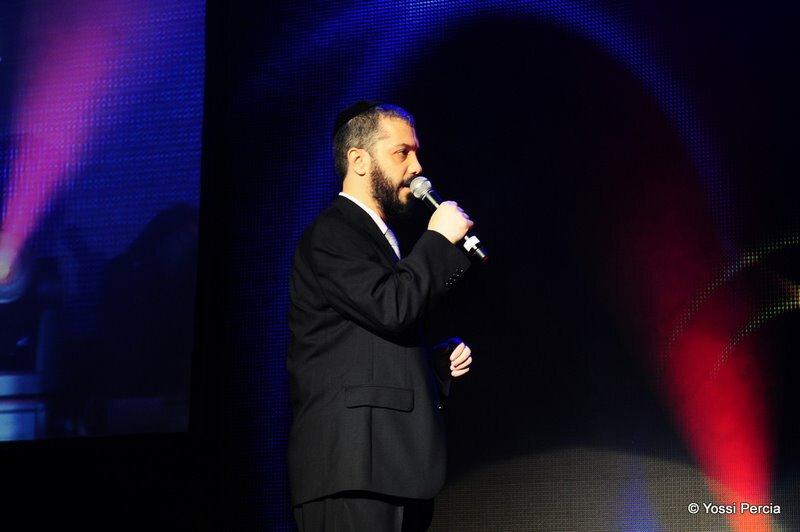 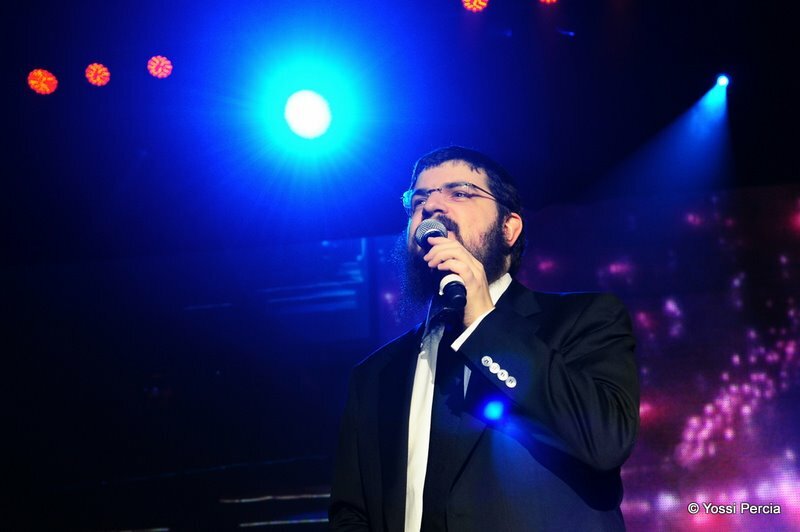 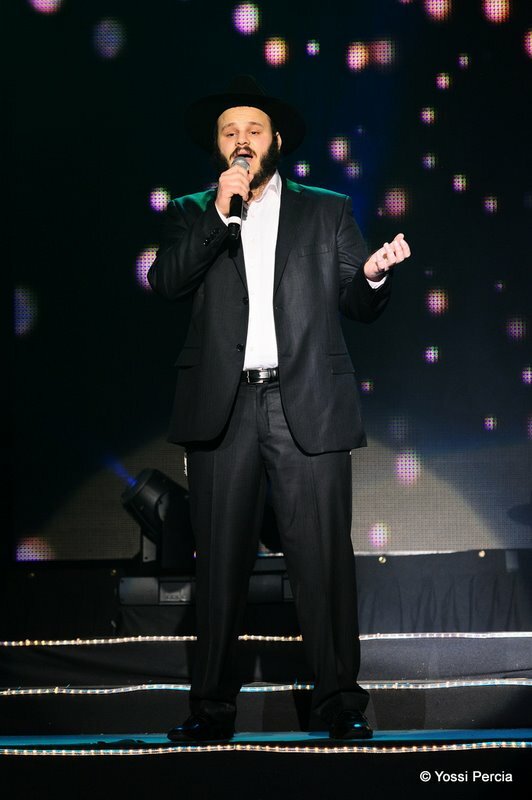 He told the crowd his popular audition song “Ata Hashem lo tichla” was composed in honor of his daughter (who was in the crowd) receiving a successful kidney transplant. 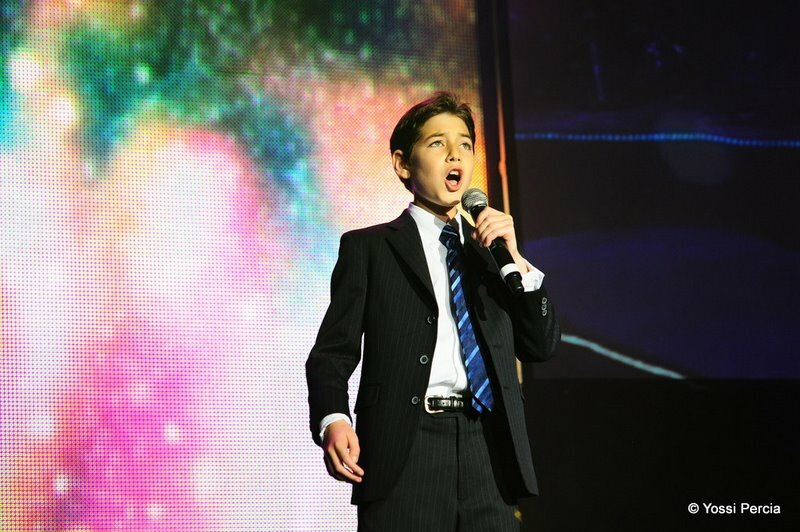 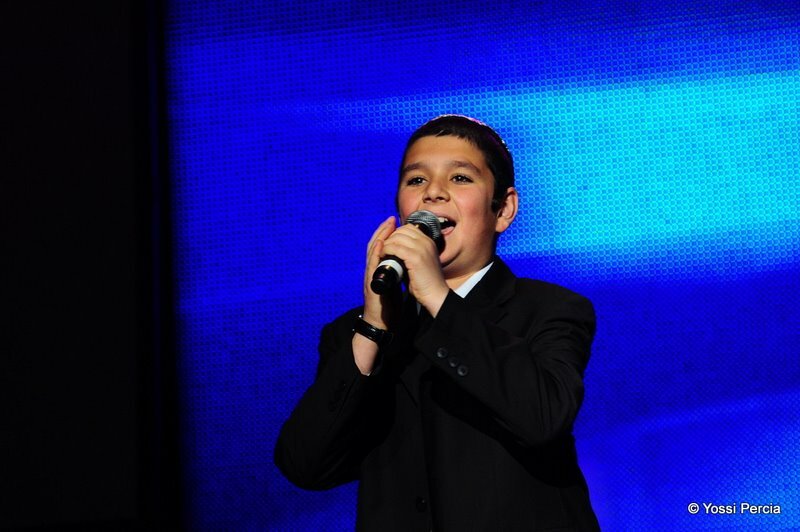 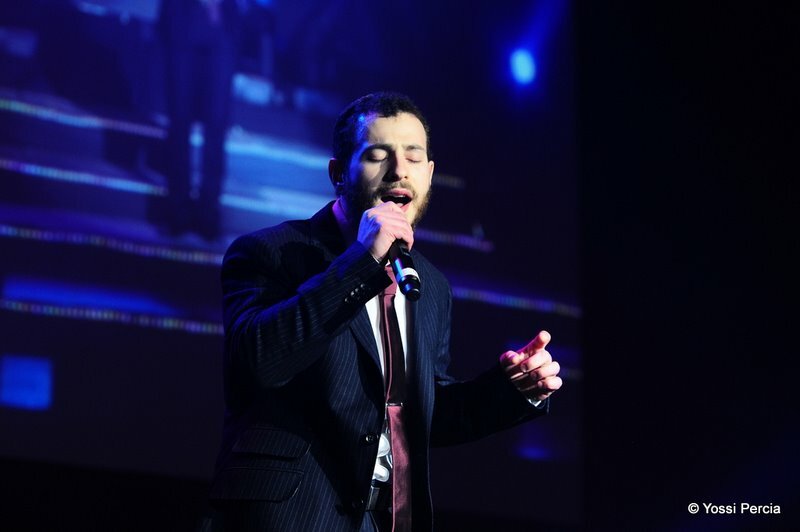 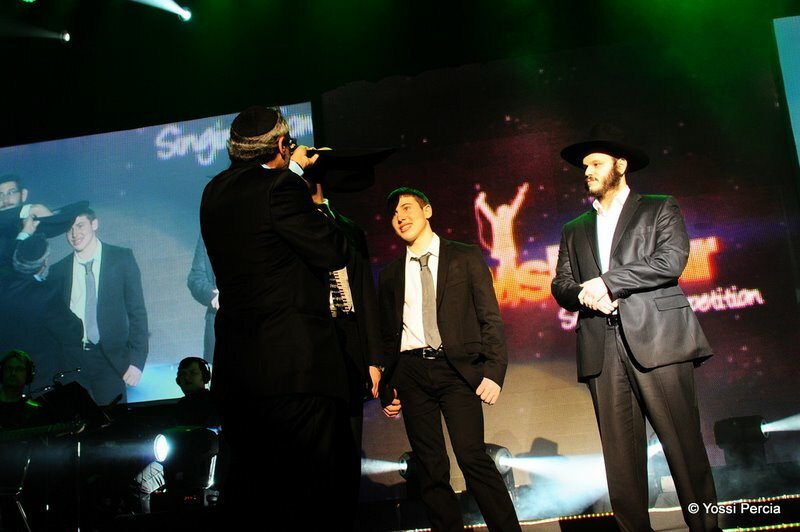 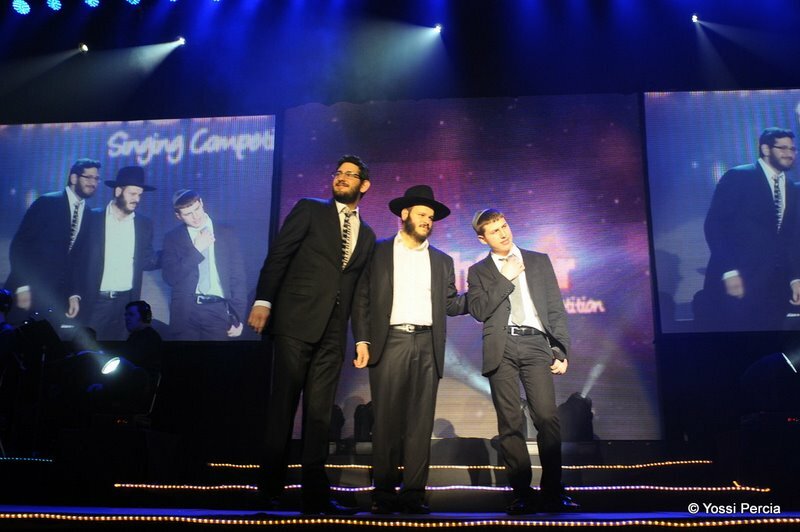 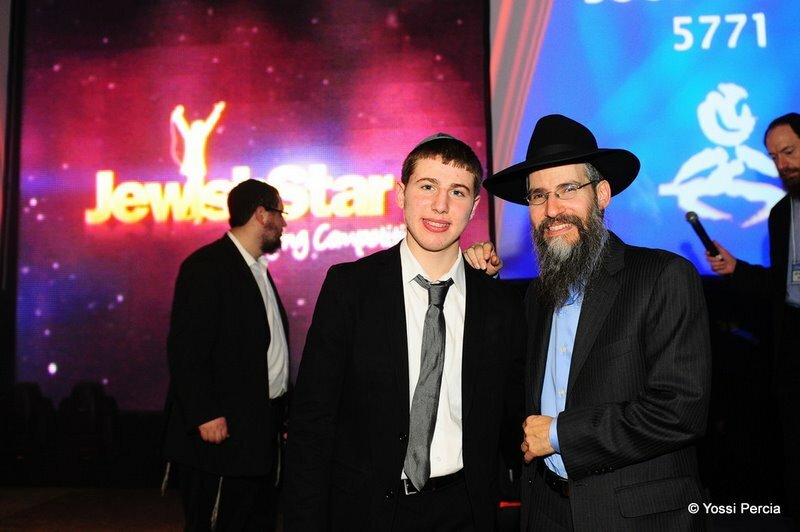 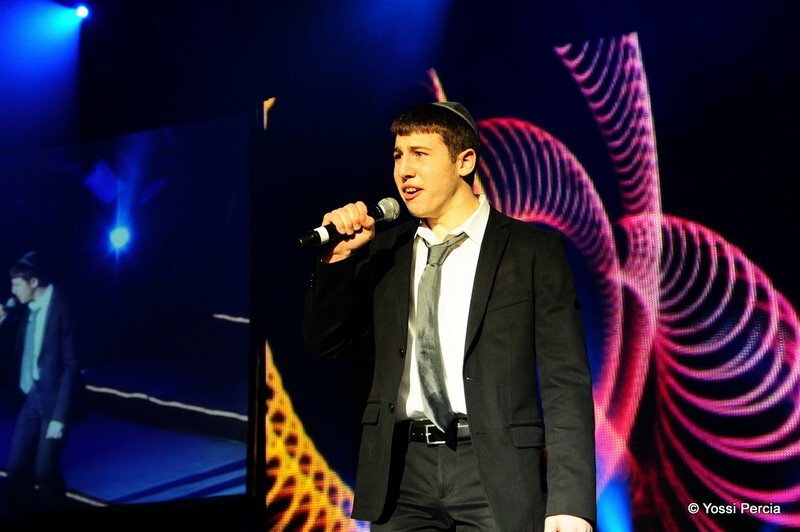 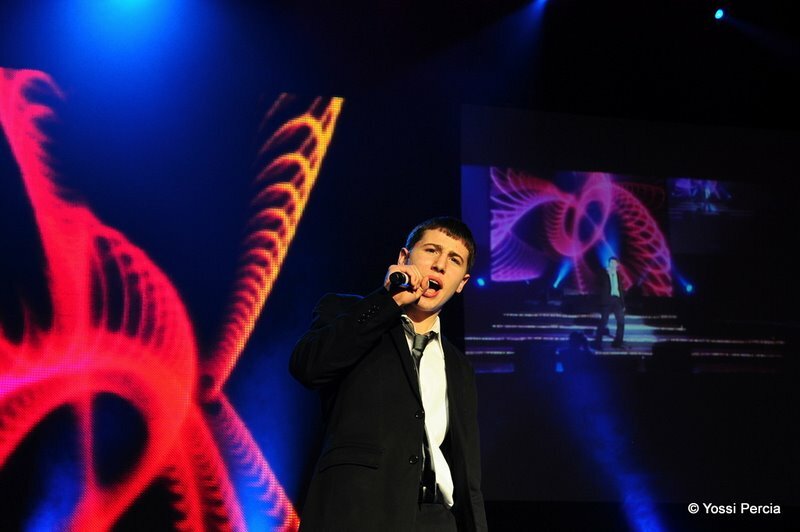 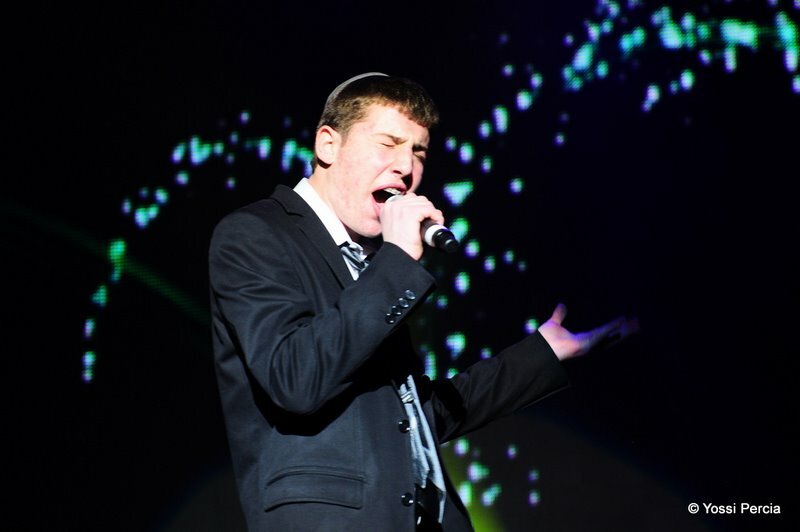 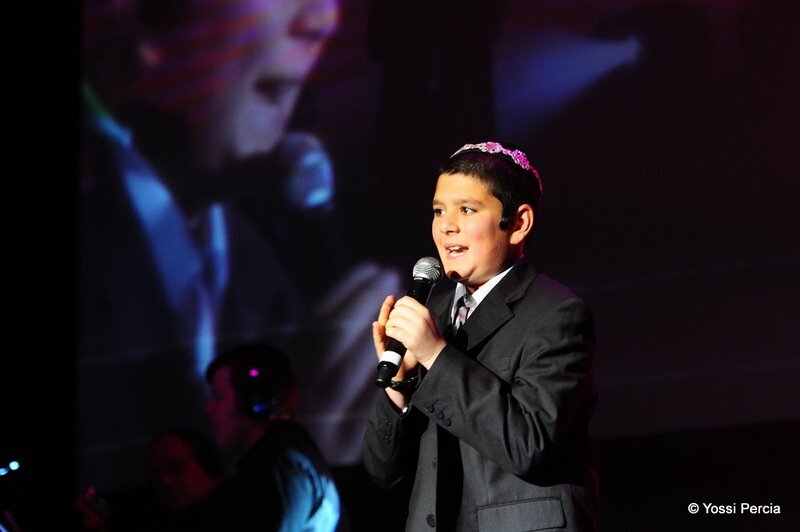 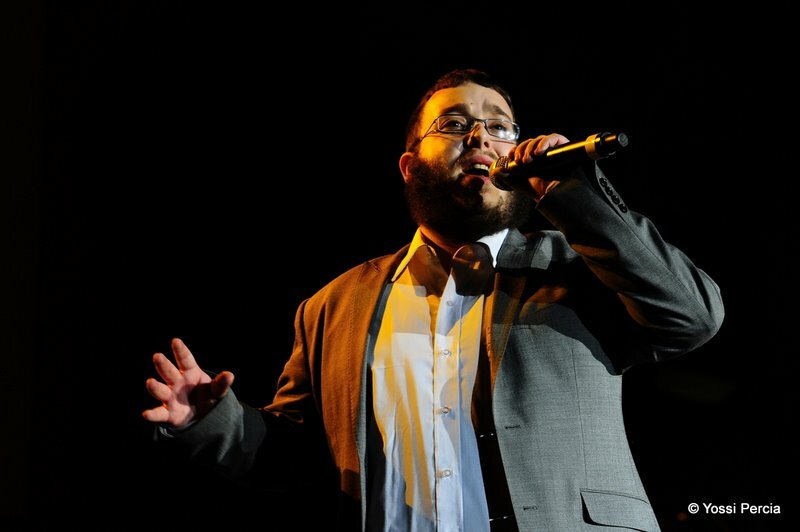 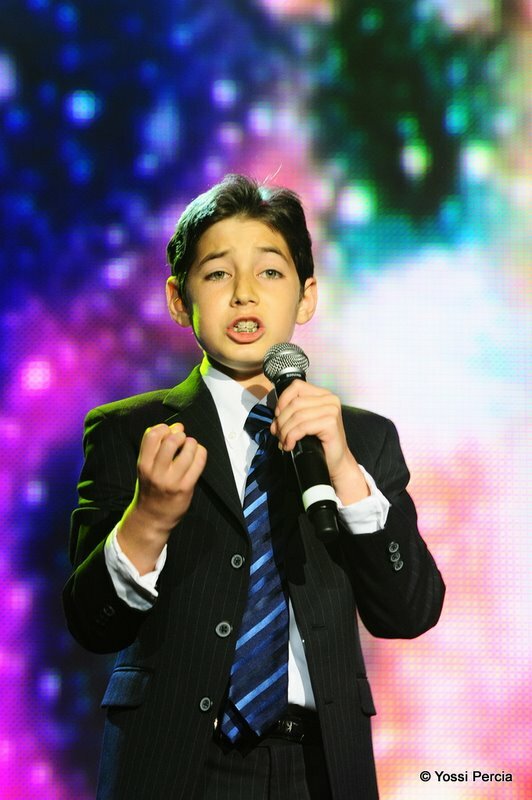 When decision time came, they named 3 for standing out in their eyes on stage: Zalman Attal of France with his high pitched chazzanus abilities, Aaron Holder of Miami with the surprisingly thick baritone voice and Mendy Piamenta of Israel, the energetic 16 year-old Yeshiva student. 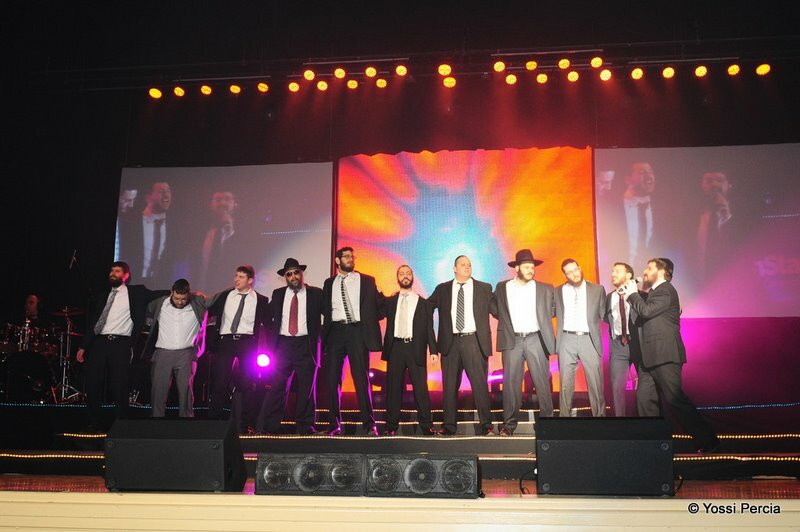 “During the intermission, each judge had some idea who was his favorite for a winner, but I can say their final decision was certainly swayed by the second round of performances, which surprised the judges too,” an organizer said. 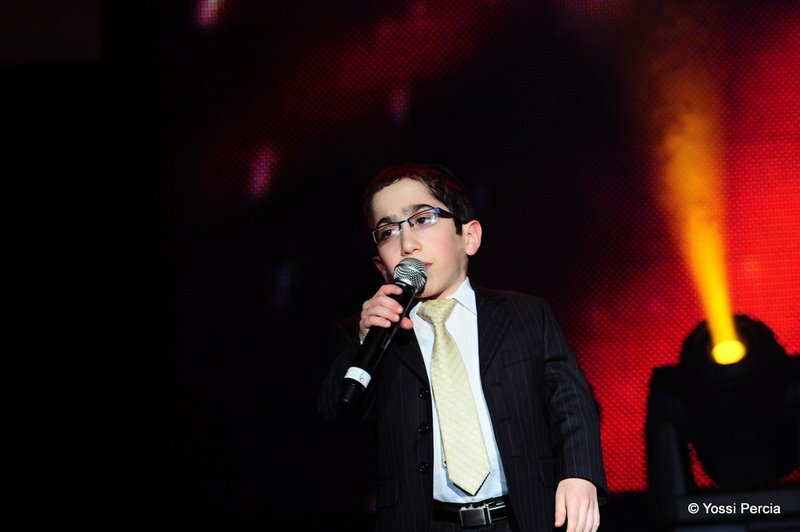 Holder pulled off singing Vezakeini, admittedly not his style of music, and a stiff-looking Attal sang another song. 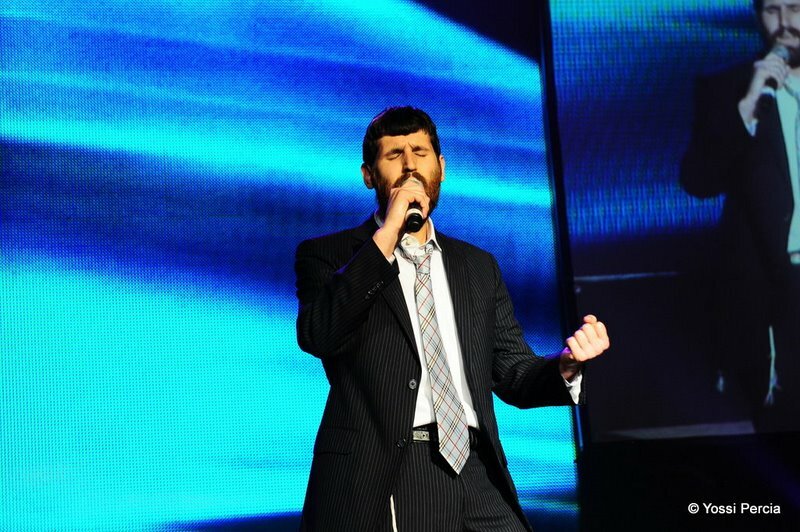 The unexpected moment was Piamenta singing Shwekey’s ‘Vehi She’amda’ and even adding his own twists to it. 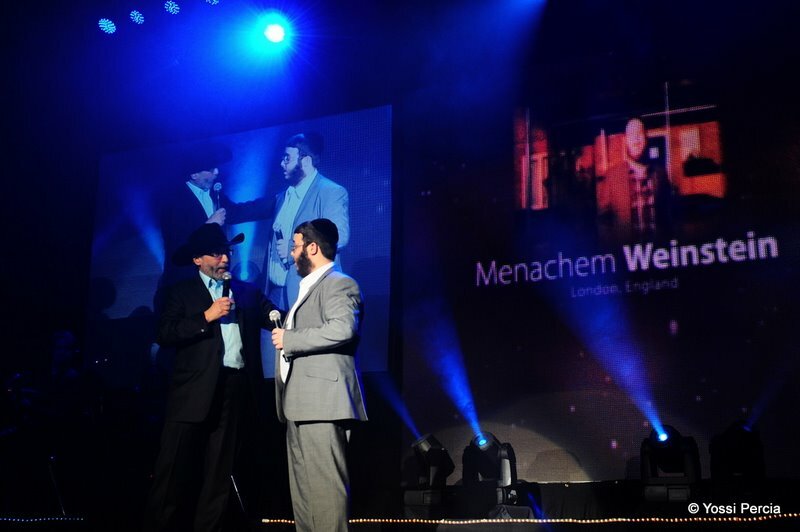 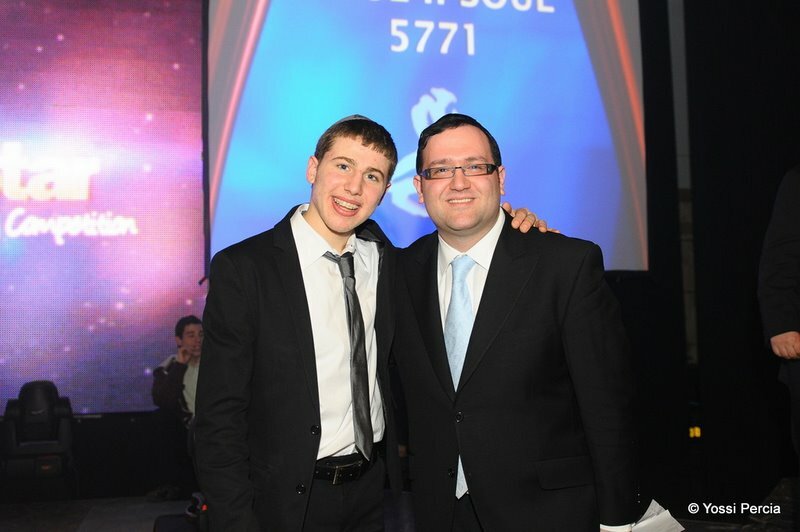 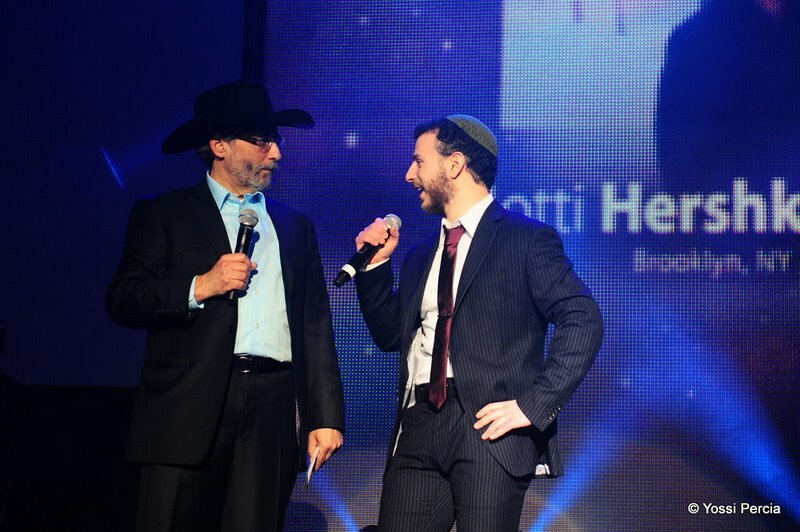 And as the night unfolded, the judges announced the the Jewish Star of 5771: Mendy Piamenta, son of Avi Piamenta, one of the famous musician duets. 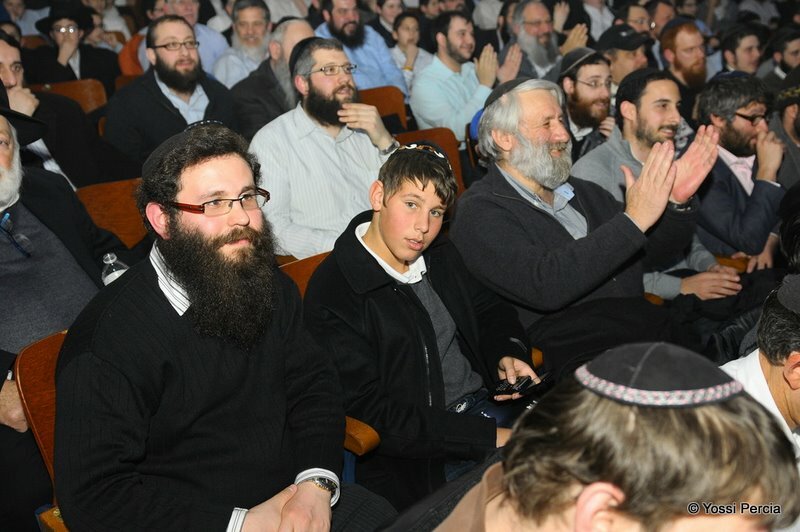 The young Piamenta currently learns in a Yeshiva in Monsey. 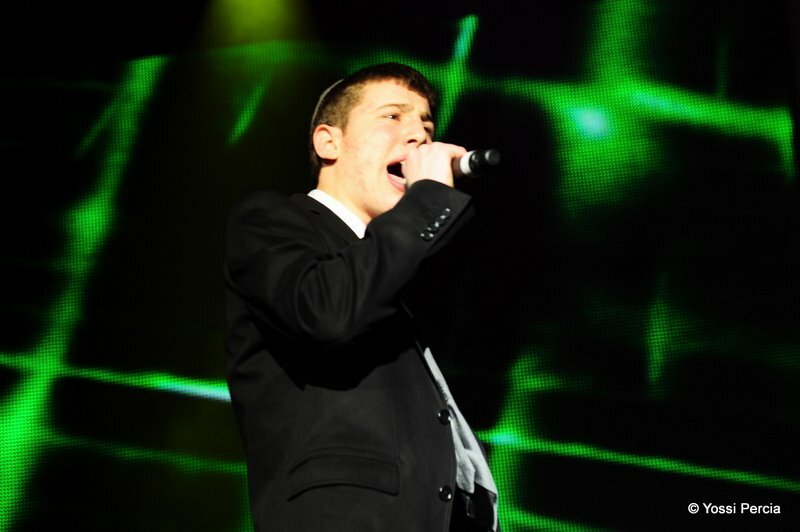 He will be promoted by record label Aderet (MostlyMusic.com) and receiving a 2 year exchangeable car lease from Leasing Direct, $1000 from Tribul Merchant Services, recording time at Ruli Ezrahi studios with advice from Fried. 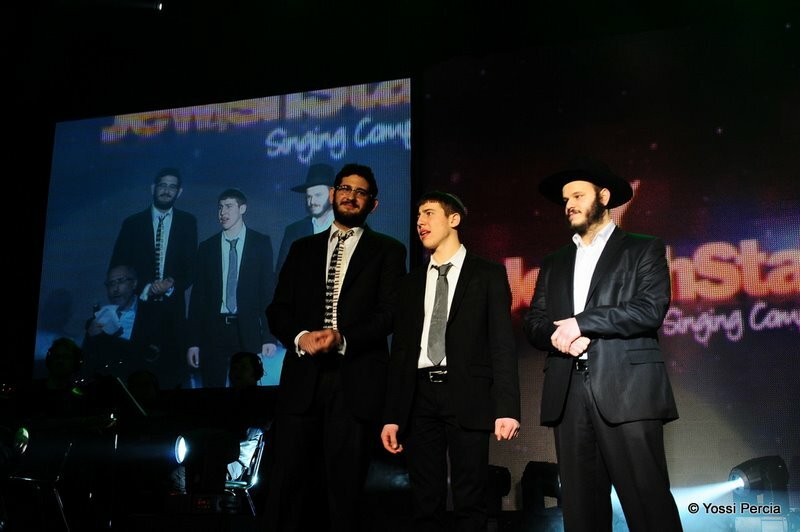 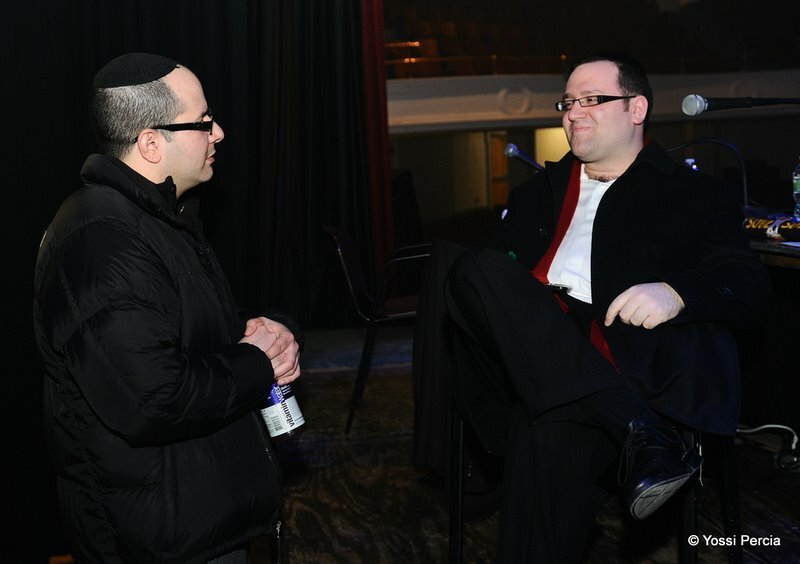 A surprise guest at the show was Yishai Lapidot, lead singer of Oif Simches band, who was invited backstage to meet the finalists and offer them valuable performing tips. 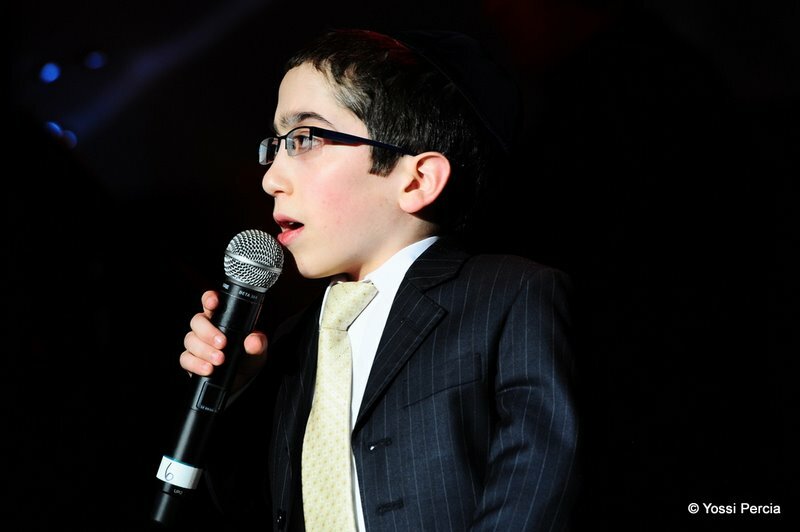 The stakes and hopes were high in the junior competition too. 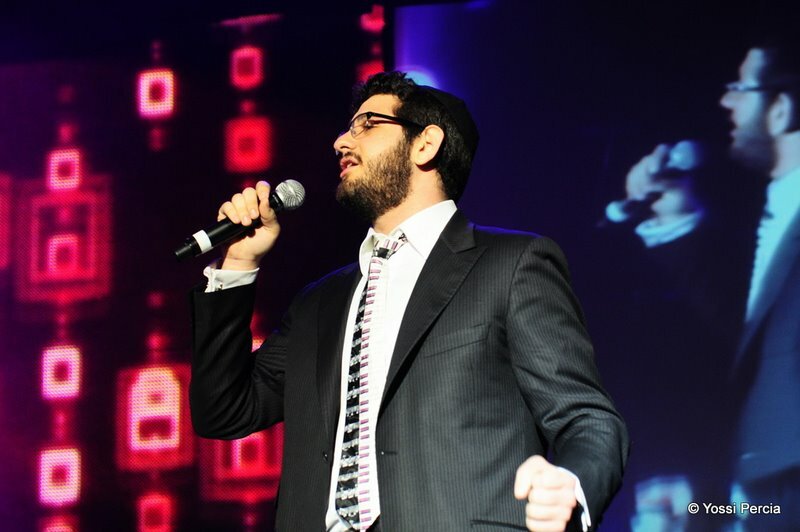 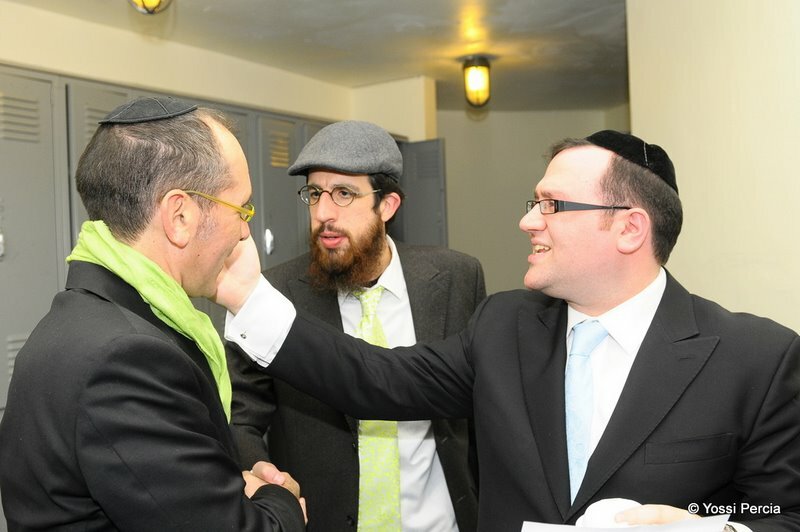 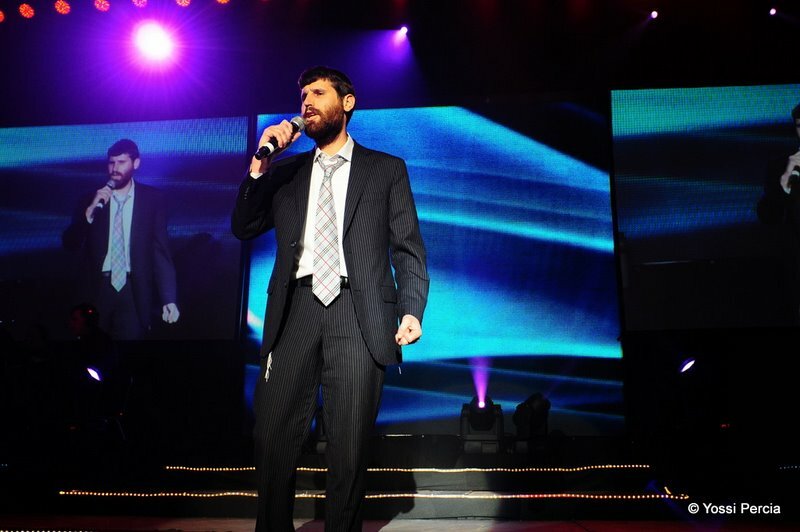 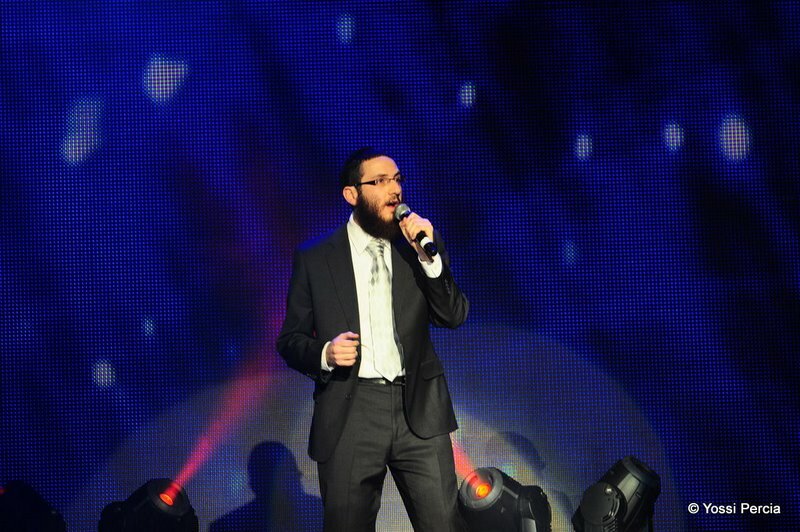 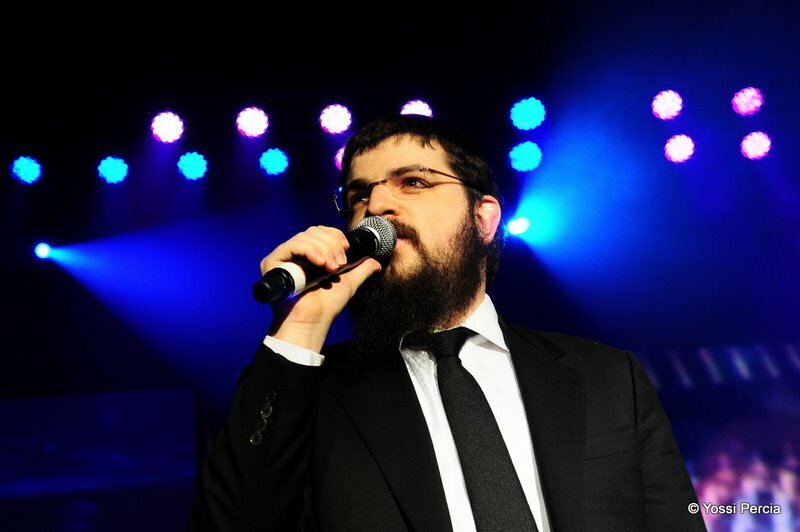 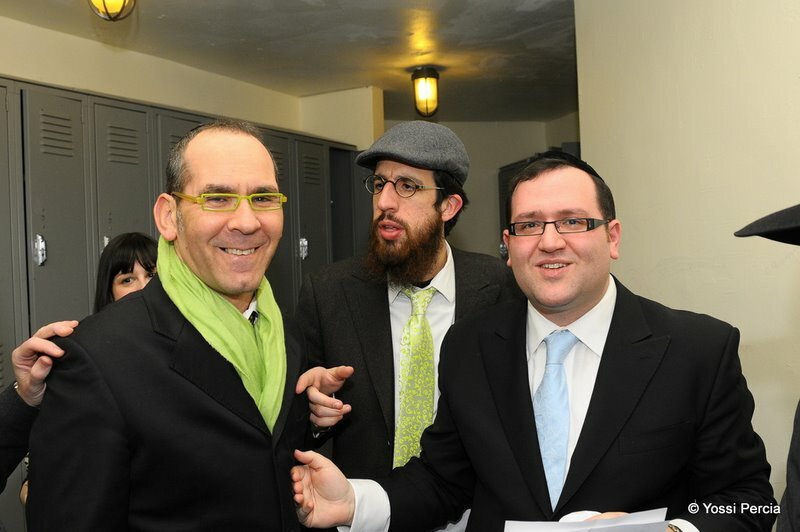 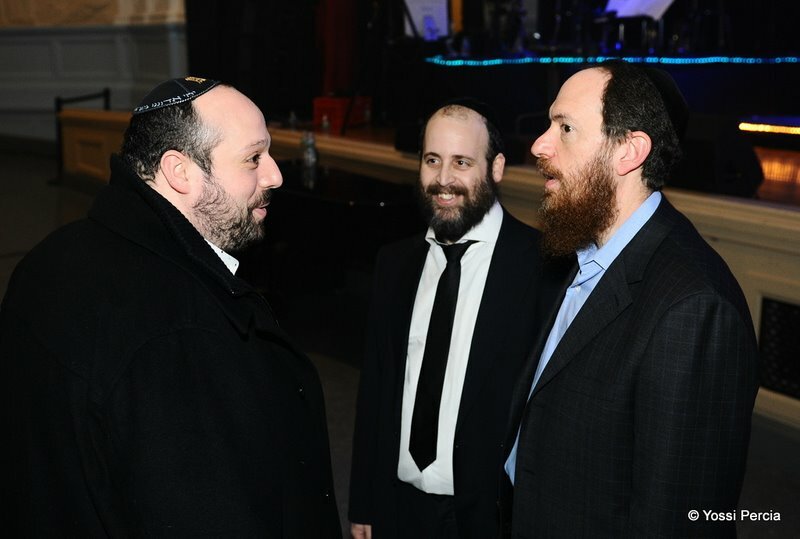 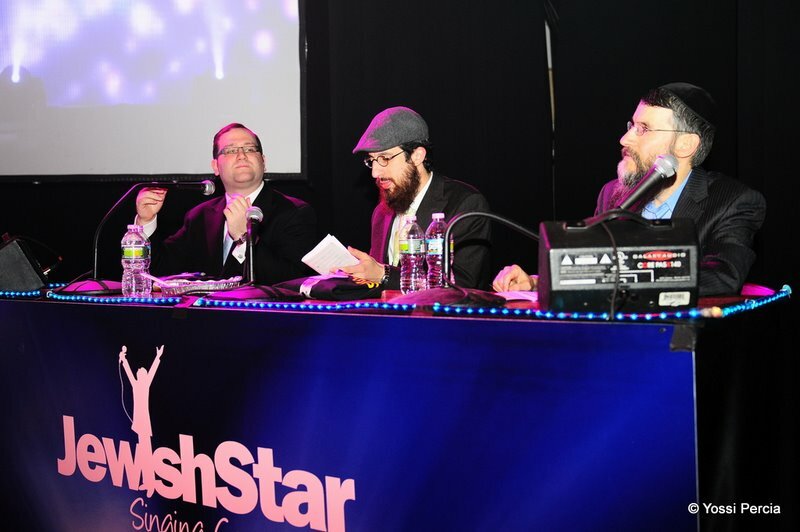 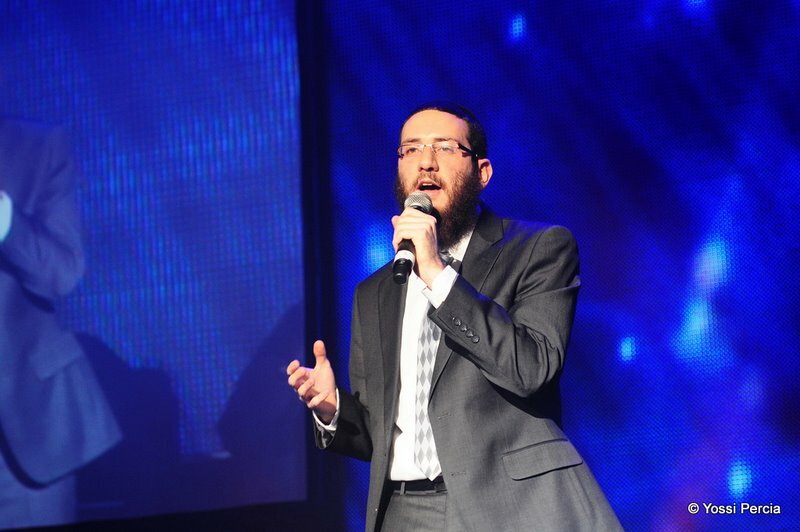 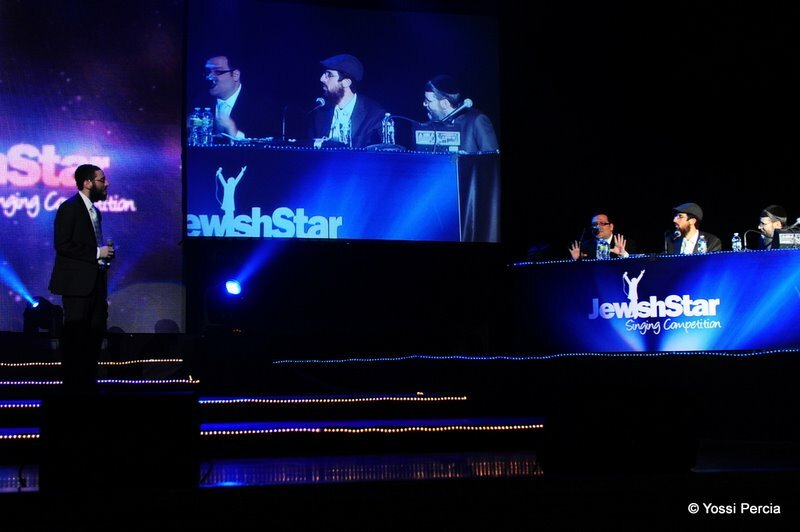 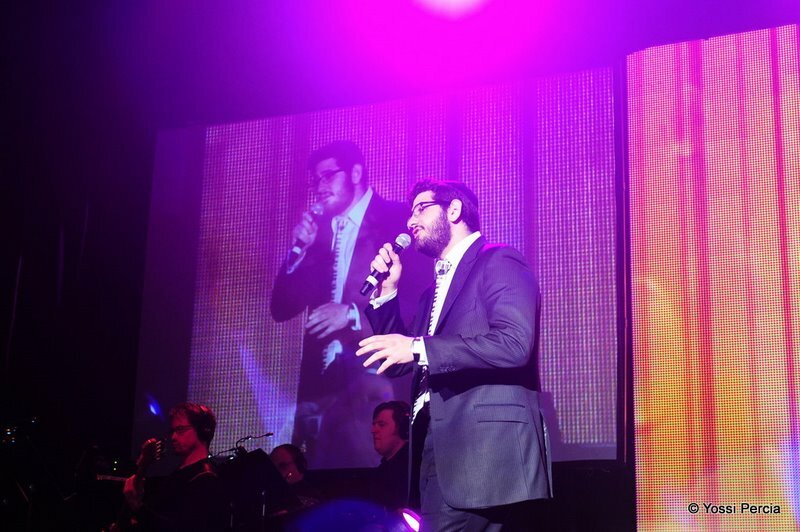 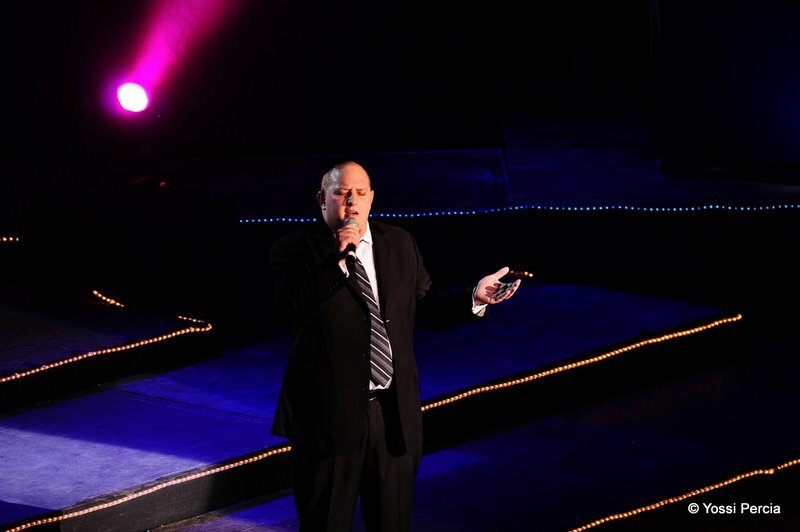 Yisroel Amar of Golden Beach, Florida, Shmuly Brafman of Morristown, New Jersey, and Akiva Shechter of Miami Beach, Florida, all have unique voices. 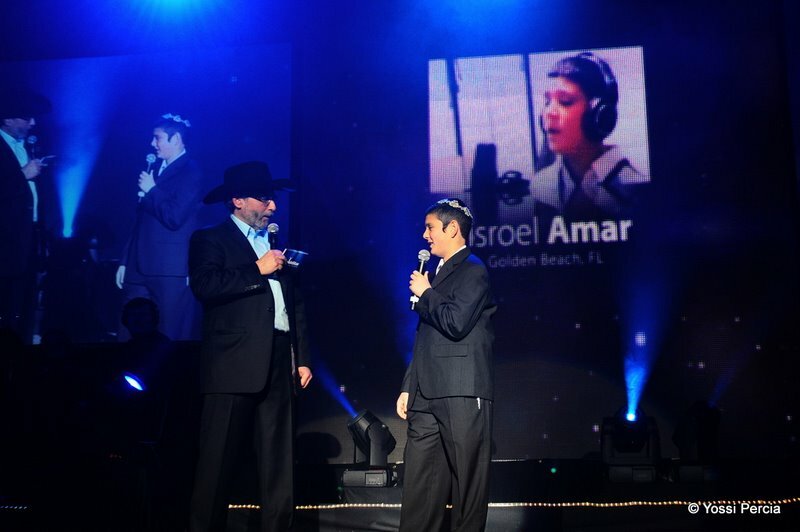 When it came to make the call, Amar was chosen for giving a flawless performance according to the judges, all while praising the other two for their abilities. 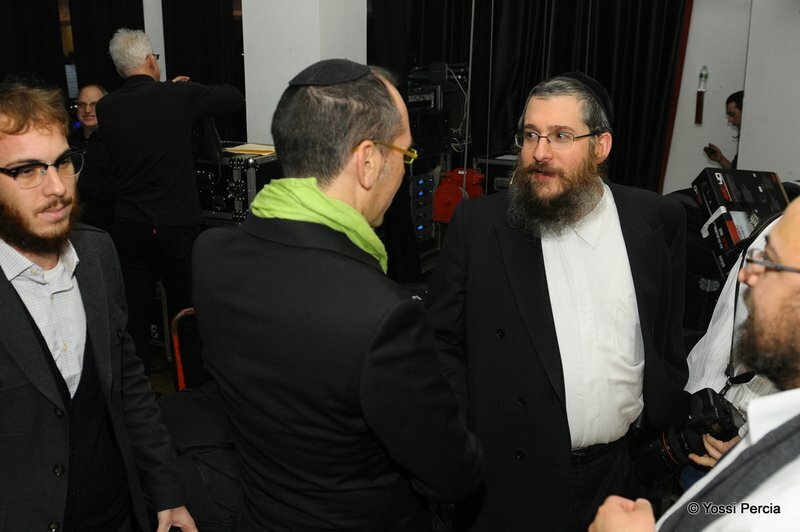 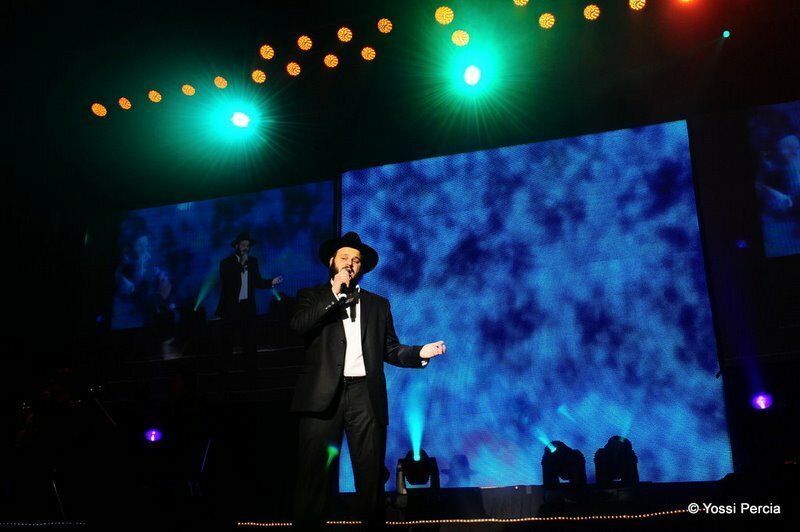 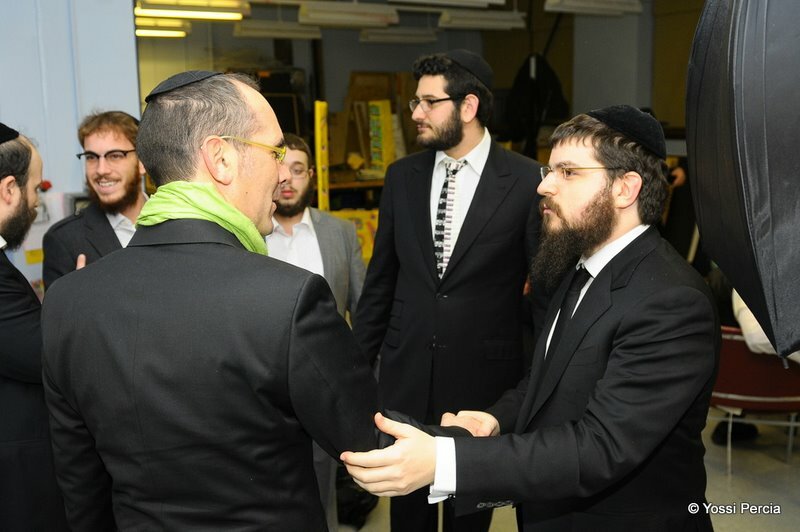 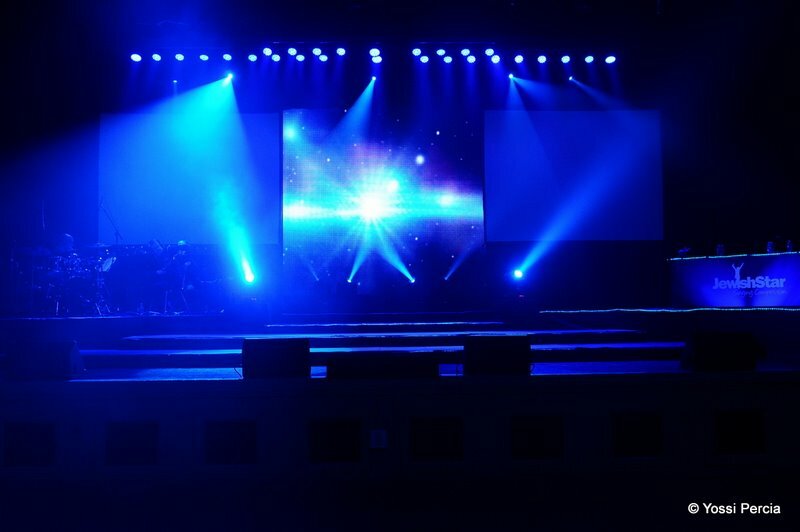 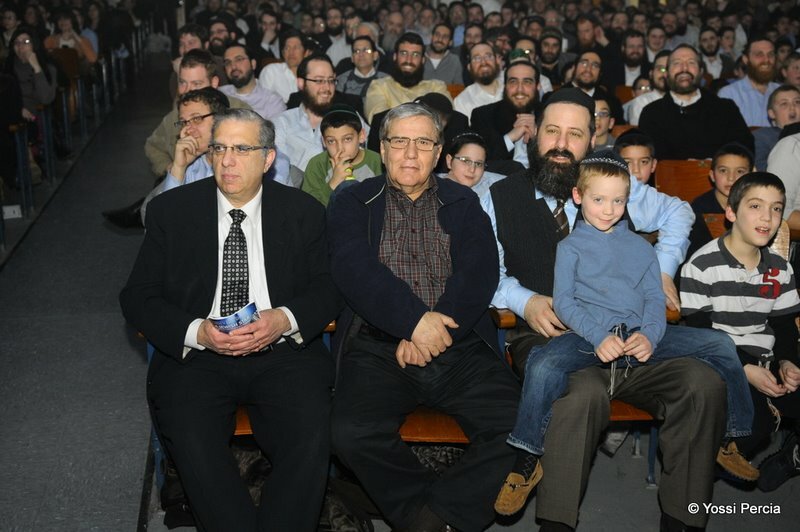 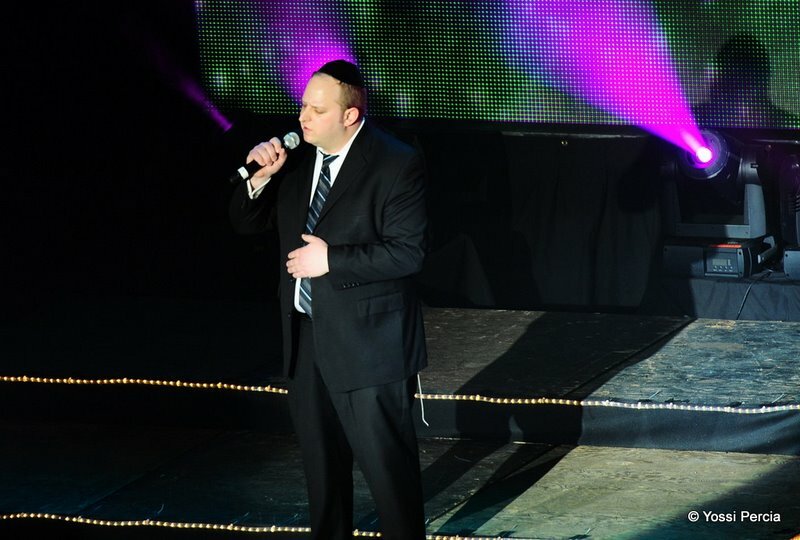 (Gerstner publicly offered Brafman a spot at his Pesach concert). 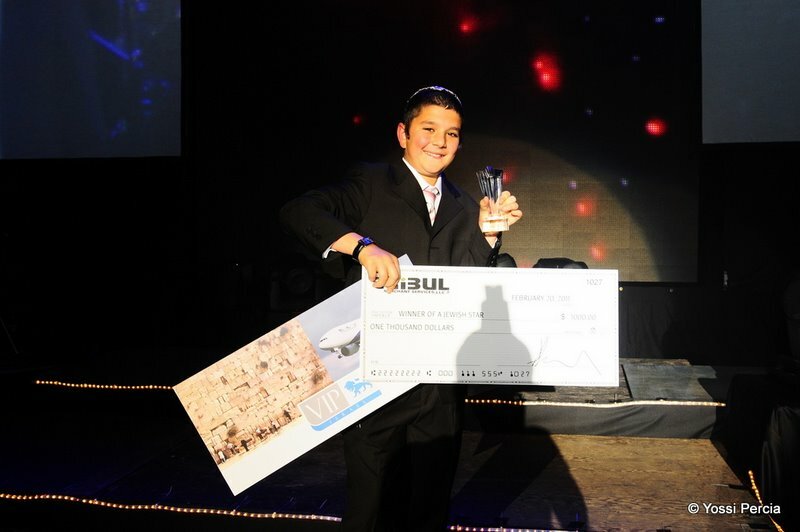 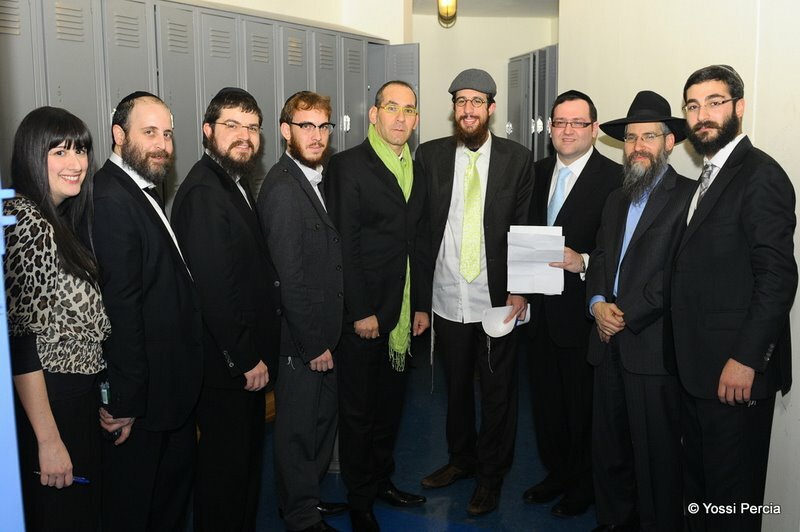 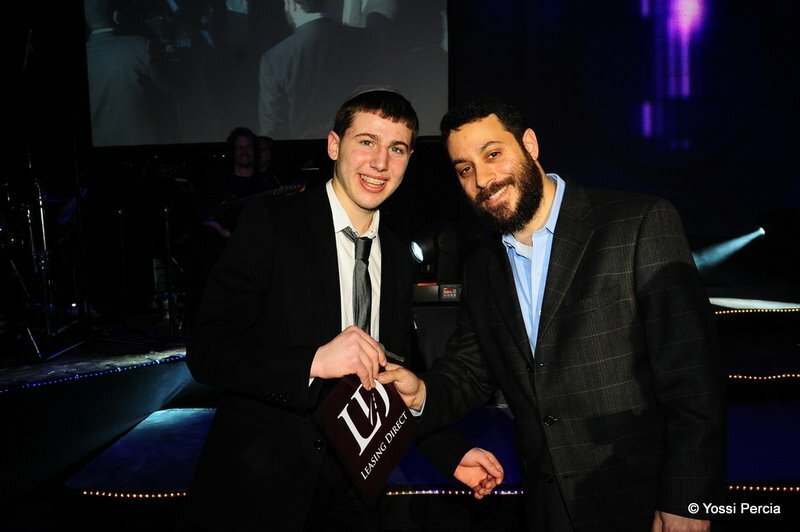 Amar will be joining the Yeshiva Boys Choir (YBC) and receiving 2 tickets to Israel and hotel accommodations sponsored by VIP Israel, $1000 from Tribul Merchant Services and promotion by record label Aderet (MostlyMusic.com).